Greening Sri Lanka Hotels program commenced this week with 34 hotels participating in a very ambitious program to reduce energy water and waste in a hotels sector environment conservational drive. Among the participating hotels are the Aitken Spence, John Keells, Jetwing, Confifi group of hotels, Siddhalepha Ayurveda Resort and Spa, Saman Villas and Mermaid Hotel and Club. These hotels are from Colombo, Kalutara, Beruwela, Bentota, Trincomalee, Galle, Hikkaduwa, Yala, Bandarawela, Kandy, Nuwara Eliya, Negombo, Habarana, Sigiriya and Dambulla areas. This program initiated by the Responsible Tourism Partnership (RTP) and the Travel Foundation UK is a joint collaboration supported by the Ministry of Tourism (MoT), Sri Lanka Sustainable Energy Authority (SLSEA) and the Tourist Hotels Association of Sri Lanka (THASL). Greening Sri Lanka Hotels is all about hotels optimization of energy efficiency and conserving natural resources towards making the hospitality sector more sustainable. The chief guest was Secretary to the Ministry of Tourism George Michael and the guest of Honour was Secretary, Ministry of Power & Energy M.M.C. Ferdinando, Michael said, “The Ministry is very keen in environmental aspects have any programs with the Ministry of Environment and Natural Resources . We have been actively promoting this program as it is a very useful and valuable one for the hotel sector? Hotel facilities globally are known for very high energy consumption and this is no different in Sri Lanka. The hospitality sector can immensely reduce the high cost of energy by doing simple and particle changes that are very effective. Some of these include, using lighting and equipment efficiently, introducing energy efficient lamps and introducing low flow showers and restricting tap output. Most of the hotels already have schemes such as towel reusing policies and managing waste wisely. According to Ms. Charmarie Maalge, CEO of the RTP, Travel & Tourism sector globally has been accused as major contributors towards Climate Change. In Sri Lanka hotels are already green and our hotels have won many international awards and recognition for their best practices and environmental efforts. This program will help the hotels to become more sustainable, share best practices and market Sri Lanka hotels on a green platform. While reducing carbon footprint, the main aim of the ‘Greening Sri Lanka Hotels’ is to help hotels to reduce costs of operations, sustainability is good for business is the key message of our program. The first part of the program will assist hotels to measure their position with regard to energy, water and waste and thereafter, provide them with tools and technical know how to implement a plan to reduce consumption and save costs. By doing simple practical actions without major investments can help save costs substantially. The Greening Sri Lanka Hotels will also carry out benchmarking and developing standards for new and existing hotels. The program will also promote renewable energies. Hotels in Sri Lanka have already ventured in to sustainable energy resources such as dendro, solar, wind and micro hydro power. These measures have enabled hotels to reduce costs of operations substantially also reducing their carbon foot print. Srilal Miththapala President of (THASL) explained that no hotel will consider adopting these measures for the sake of goinggreen unless there is financial benefit and his work has proved that quite a lot of financial gain can be achieved. He further said that “this is exactly the time for this very important aspect. Most of the hotels have been built few decades ago and transforming is a big challenge, the cry is for refurbishment and improving rooms. Change of mindset is needed to look in to the energy saving”. Asoka Hettigoda from the RTP thanked all the institutions involved such as the Ministry of Tourism, Sustainable Energy Authority and the Tourist Hotels Association of Sri Lanka (THASL) for their support to the RTP to implement this valuable program. Dr. Krishan Deheregoda-Chairman, SLSEA, Upali Daranagama, Additional Secretary Ministry of Power & Energy, Dr. B.M.S. Batagoda - Director General Ministry of Finance & Planning and Chandana Samarasinghe, Director General and Harsha Wickremasinghe, Deputy Director General of the SLSEA too participated. The objective of the Greening Sri Lanka Hotels is to implement this program as a national initiative encouraging various categories and scale of hotels to participate not limiting to the formal sector and all interested hotels are requested to contact the Responsible Tourism Partnership. The program targets for a 10% reduction of total energy consumption, 10% reduction of water consumption and 20% reduction of solid waste. Another element of the program is to promote participating hotels as green hotels with the support of the EU Travellife Sustainability Store & Federation of Tour Operators of UK. With the increasing awareness on global energy crisis and growing concerns amongst consumers on climate change and global warming, it has purely become a sustainable issue for the Sri Lanka hotel sector to embark on an appropriate energy and other natural resources conservation. 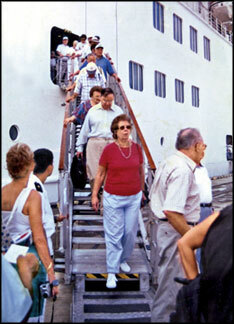 Following the defeat of terrorism which was prevalent for over 20 years, Sri Lanka expects resurgence in inbound travel. President, Mahinda Rajapaksa set a target of a hefty 2.5 million tourists to the island by 2016. Sri Lankan tourism authorities declared a remarkable one million tourist arrivals by the year 2011. Special promotional plans are under way targeting the Indian, Middle East, Russian and Chinese markets under the leadership of the minister of tourism promotions, Faiszer Musthapha. President of the Association of Small and Medium Enterprise in tourism (ASMET), Siri De Silva said that especially in the Trincomalee and Arugam Bay areas, tourism is picking up positively by the Free Individual Tourists or FIT movement. Srilal Miththapala, President of the Tourist Hotels Association of Sri Lanka (THASL), said Hotels and Tour Operators are currently receiving numerous inquiries from foreign tour operators, who have not operated before with Sri Lanka. Tourist arrivals to the island have already seen a significant increase in the month of June which showed a marked rise of 8% from June last year. Tourists mainly arrive from Western Europe which showed a marked increase of 7.5% in June alone when compared with the corresponding period last year. UK, Germany, France and the Netherlands had a rising number of tourist arrivals in June, with the UK now becoming the largest inbound tourism market to Sri Lanka. According to the Managing Director of the Sri Lanka Tourism Promotions Bureau, Dileep Mudadeniya, the second half of the year signals an increase in tourist arrivals as tourist arrivals can get better? Meanwhile, arrivals from East Asia increased by 13.6% with the Middle East registering the highest growth of 85%. A boat service will be launched to develop tourism and fishing industries between Maldives and Sri Lanka where the boat industry contributes around 70 percent of the GDP of Maldives and has immense potential to promote tourism and fishing industries in both islands, said High Commissioner for Maldives, Ali Hussain Didi. High Commissioner was addressing the media on the launch of the Maldives Boat Show 2009 which will be held at the Dharubaaruge Exhibition centre in Male from October 12-14. “The boat industry contributes around Rupees five to six billion annually to the Maldives revenue. Sri Lankan boat manufacturers should exploit the vast opportunities in Maldives to enhance export revenue”, Didi said. The government of Maldives invited the Sri Lankan entrepreneurs to invest in Maldives and strengthen trade and investment between the countries. Sri Lanka and Maldives has been maintaining good relations and trade between the two island nations has grown”, he said. Maldives has over 1200 islands of which only 200 is inhabited with some of the finest star class hotels and resorts. Among the upmarket tourist resorts in Maldives Sri Lankan hotels stand tall bringing in the much needed foreign revenue to the Maldives. Project Manager GTZ Boat Building Sri Lanka, Gamini Herath said export revenue from the boat industry exceeds Rs.2.1 billion and with signs of the global economic recession easing off there is immense potential for growth. “Sri Lanka’s boat industry suffered a major setback from the tsunami and the recovery process has been slow. The industry needs to be developed with sound technology and marketing”, he said. Sri Lanka held its first boat show last year in Colombo attracting a large number of tourists to the country. Officials said that the boat show will be held next year in Sri Lanka. The annual general meeting of the Sri Lanka Association of Airline Representatives (SLAAR) was held on June 25, 2009 at the Galadari Hotel. Sri Lanka Association of Airline Representatives (SLAAR) is a body consisting of General Sales Agents representing over 35 airlines in Sri Lanka. Mrs. Minoli Perera of KLM Royal Dutch Airlines GSA was elected as the Chairperson of the Association for the year 2009 /2010 while Ms. Lilanthi Fernando of Virgin Atlantic GSA was elected as Vice Chairperson. Keethi Jayaweera - Singapore Airlines GSA, Mrs. Dushy Jayaweera - Malaysian Airlines GSA, Ms. Ruha Jasinghe - Etihad Airways GSA, Ms. Shahnaz Nathani - Emirates GSA, Ms. Sudarshanee Nicolle - Lufthansa German Airlines GSA, Ms. Parveen Dassenaike - United Airlines GSA, Ms. Kishani Ganegoda - Qantas Airways GSA, Janoda Thoradeniya - Jet Airways (India) GSA, Ms. Thanuja Lankathilake - Indian Airlines GSA, Ravi Widyalankara - British Airways GSA.